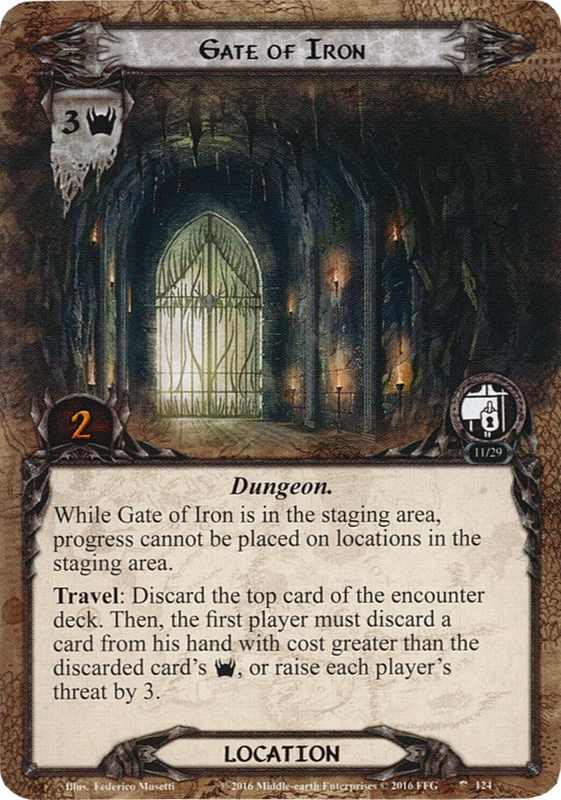 While Gate of Iron is in the staging area, progress cannot be placed on locations in the staging area. Travel: Discard the top card of the encounter deck. Then, the first player must discard a card from his hand with cost greater than the discarded card's , or raise each player’s threat by 3.